Sleuth Regan Reilly and her husband, Jack, return to New York from their honeymoon in Ireland and discover that their next-door neighbor has put up his apartment for sale. They decide to buy it and enlarge the loft Jack lived in as a bachelor. Regan takes time off from her work as a Private Investigator to supervise the construction, while Jack resumes his job as head of the Manhattan Major Case Squad. On a sweltering summer night, a major blackout hits New York City and more than one person in the Reilly's building blows their fuse! In the midst of the chaos, with Jack out coping with the city's problems, Regan finds herself drawn into a case she would never expect to happen in her own home. 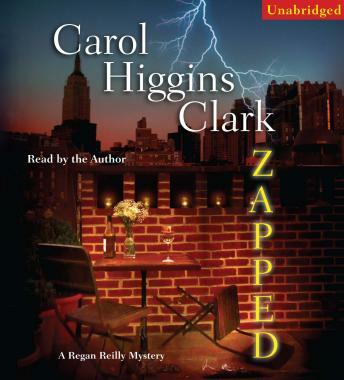 Zapped, set in New York City, blends Clark's sophisticated humor with her remarkable gift for portraying characters in different walks of life. Here, she creates a penetrating, humorous profile of bosses and workers in the New York real estate and construction business and the ardors of renovating a home, which we all know can drive one crazy.